Not to be confused with Giovanni Malagò or Giovanni Malagoli. Giovanni Francesco Malagodi (12 October 1904 in London – 17 April 1991 in Rome) was an Italian liberal politician, secretary of the Italian Liberal Party and president of the Italian Senate. He was the 3rd and the 6th President of Liberal International in the period 1958–1966 and 1982–1989 respectively. Born in London, he was the son of journalist and politician Olindo Malagodi. Starting from the 1930s, he held directive positions in the Banca Commerciale Italiana and was thus named as Italian representative at the Organization for European Economic Cooperation. In 1953 he entered the Italian Liberal Party (Partito Liberale Italiano, PLI) and was appointed as the party's national secretary the following year. 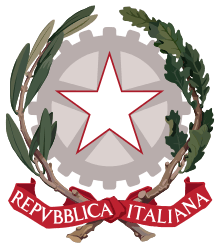 During his tenure, PLI abandoned the connection with the 19th century Unification of Italy ideals, and established strong ties with Confindustria, the association of Italian industrialists. In particular, Malagodi was a strong opposer of Christian Democracy's openings towards the Italian Socialist Party. This, in 1955, caused the secession of PLI's left wing, forming the Radical Party. Under Malagodi, in 1963 the party scored a record 7% in the Parliament elections. With the formation of centre-left governments in the 1960s, PLI was marginalized in the Italian political world, and suffered an unstoppable decline, which was not halted by the party's participation in the second Giulio Andreotti cabinet in 1972–1973. Malagodi was chosen as Minister of the Treasure. Malagodi launched a series of measures to favour younger and more politically aligned bureaucrats, such as that of the so-called pensioni d'oro ("Golden pensions"). In 1972 Malagodi resigned as PLI's secretary, being followed by Agostino Bignardi, assuming the party's presidency. He abandoned the latter positions in 1977, in contrast with the new secretary, Valerio Zanone, who was more oriented to a collaboration with centre-left parties. Malagodi was the president of the Italian Senate from 22 April to 1 July 1987, succeeding Amintore Fanfani. He died at Rome in 1991.